October is the month when the glorious and vibrant autumn colours of Mother Nature are on display. It’s also when many organisers, companies and individuals choose to colour their events with a scary Halloween twist. If you’d like a quirky idea on what to do this October, we have three for you to consider. With us providing transport, you and your group can enjoy a fantastic time out together without having to worry about getting home late or waiting for a cab on a chilly night. 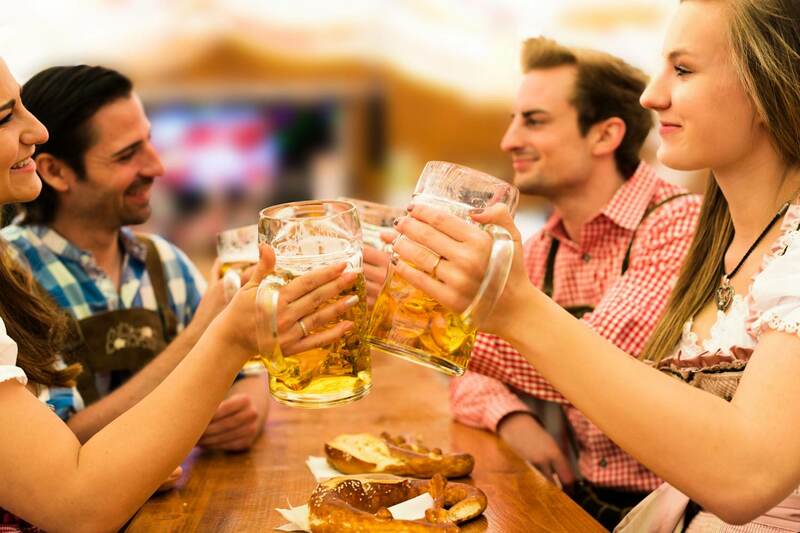 A fun drinking spree for beer-loving souls, the annual Oktoberfest starts from 04 to 14 October in Millwall Park on the Isle of Dogs. Expect a massive beer hall, a festive atmosphere and boisterous crowds, with many dressed in lederhosen and dirndl dresses, enjoying bratwurst and drinking copious amounts of good German beer. This is a joyous event which you can let your hair down, so don’t let public transport frustrate you and don’t drink and drive, book an executive minibus or coach to take you to London instead. The London Oktoberfest also has a Halloween Special at Finsbury Park from 18 to 31 October. For more information check out the London Oktoberfest website. Engage your team outside the office setting has proven to help cultivate a stronger bond and better culture. For an exciting and unconventional team building event, take your team to the London Tombs and The London Bridge Experience. Voted the UK’s scariest attraction, they host a Hillbillies Halloween theme on selected dates in October which promises a new level of “shock, fear and depravity’ – our hearts quiver just by mentioning it but if you think your team is up for the challenge, our corporate coach hire service for hospitality events is here to support you. Our drivers will get you and your team to the event, and most importantly, send you back safely after what could be a frightening experience. The Gag House Comedy Superstars show is making its debut in Watford so gather your family and friends and prepare for a mothership-load of laughter. Compèred by Mark Dolan, you’ll get to watch the hilarious comedy sketches of Jonny Awsum, Rhys James and the night’s headliner Lee Nelson. This night of comedy happens on 27 October in Watford Colosseum. Contact us for a reliable minibus and coach hire transport to Watford. Having been based in Watford for over 20 years now, we know the town like the back of our hands. Simply organise an agreed pick-up location for your guests and our driver will take you there and back home. Our fleet of minibuses and coaches range from 16 to 70 seats and feature comfortable leather seats, AC and heating systems and more than enough leg room for the occasional stretch. Head to our fleet page to find out more. Whatever plans you make for October, let us be part of your plan with our drivers getting you and your group to the destination together and on time. Call us on 01923 247765 today to discuss your transport options.